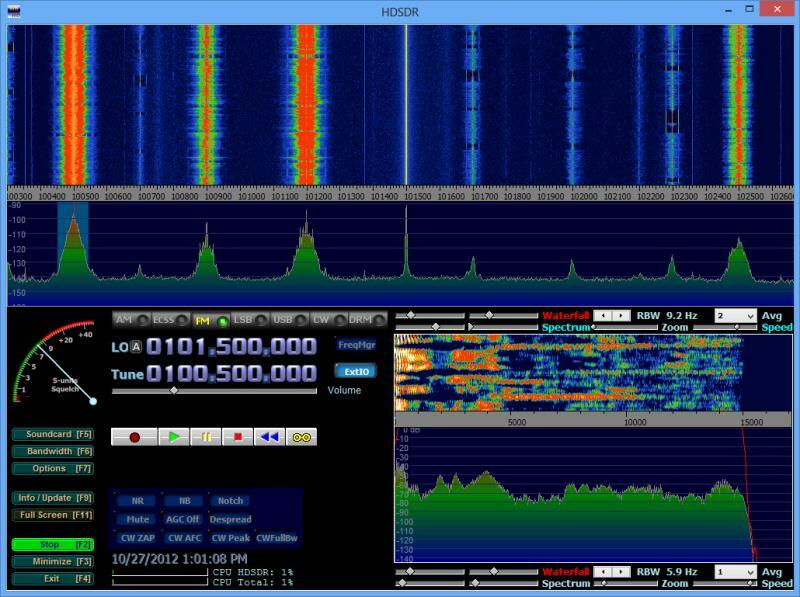 Receiving the whole 15m band with HDSDR and Perseus under Windows8 64bit. 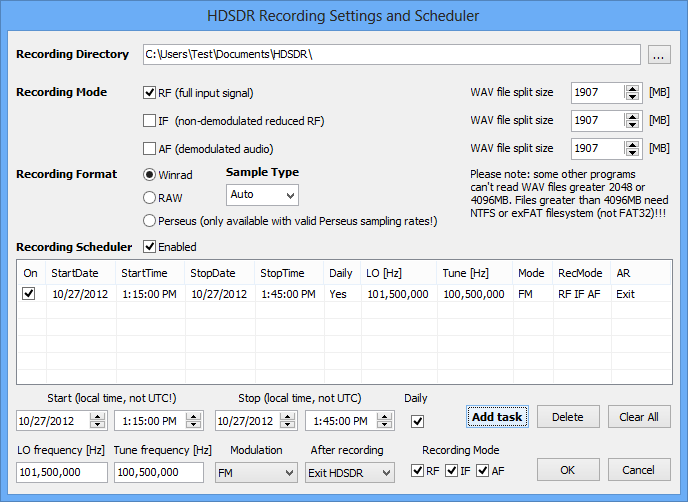 Receiving FM Radio broadcast with HDSDR and RTL2832 bases DVB-T receiver under Windows8 64bit. 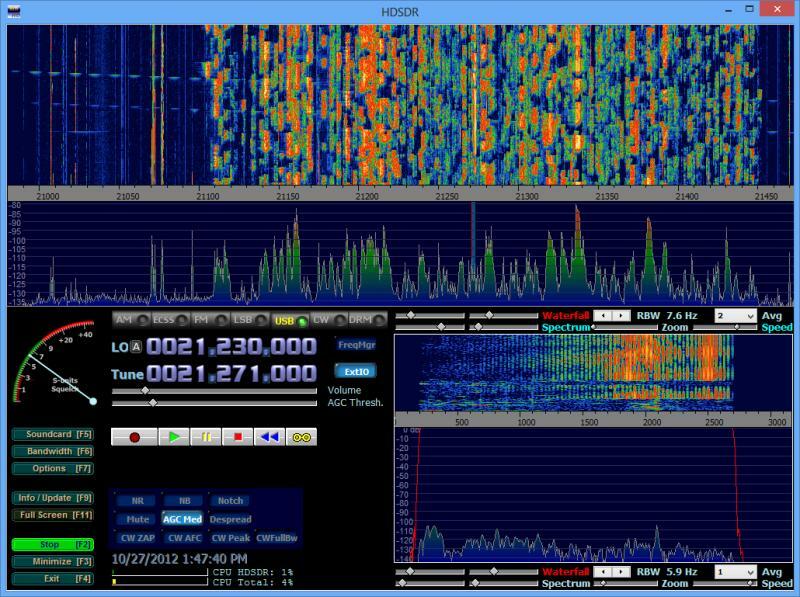 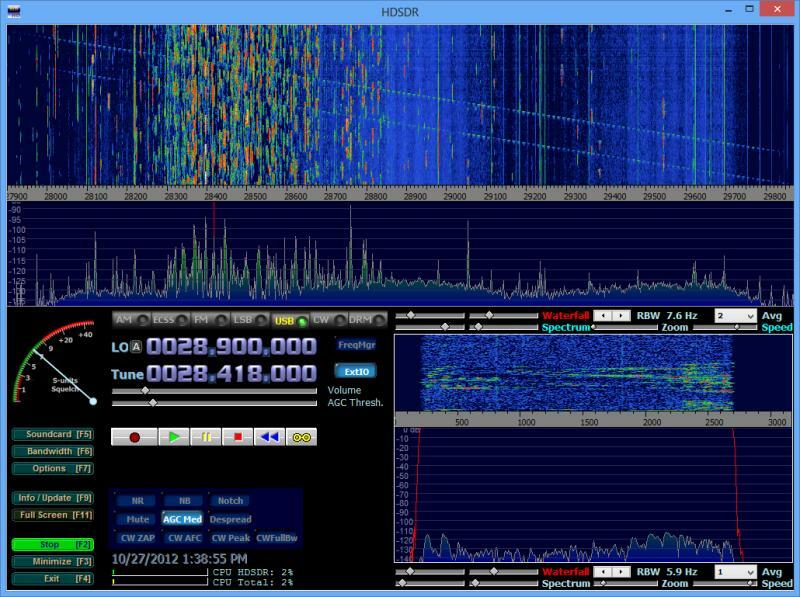 Receiving the whole 10m band with HDSDR and Perseus under Windows8 64bit. 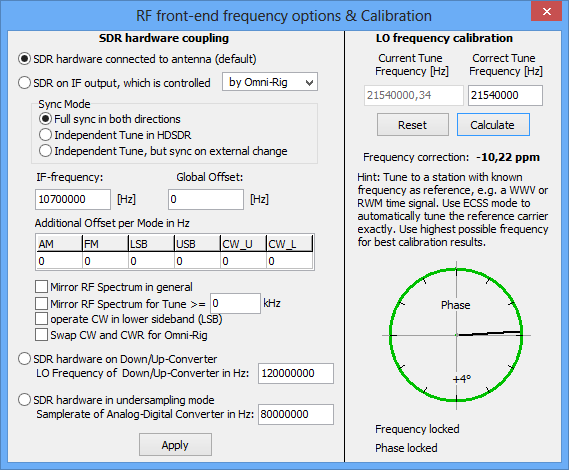 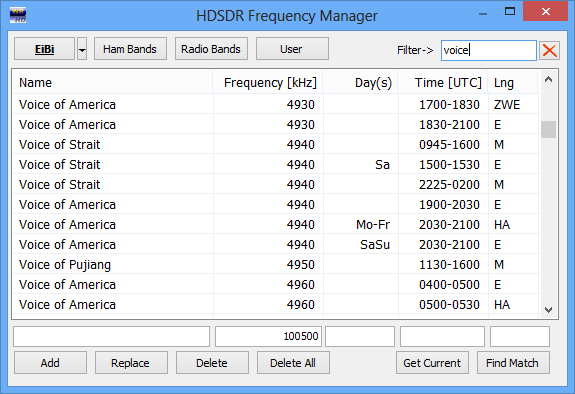 HDSDR RF front-end Frequency Options.